The UMW at Matthews Memorial UMC meets the 2nd Sunday of each month (except June and July) after the worship service. We welcome all women to be involved in the fellowship and service of the UMW. The UMW also runs the clothing room, sells pecans and holds several dinners as an outreach to the community and these also serve as fundraisers throughout the year. 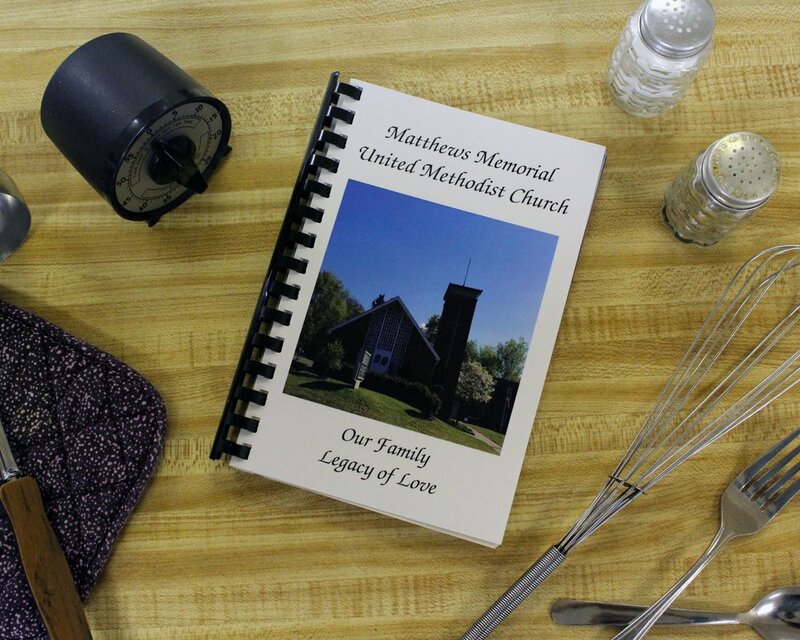 The UMW recently collected recipes from church members and attendees and compiled them into a brand new cookbook entitled Our Family Legacy of Love. It contains over 160 pages of beloved potluck favorites and even some new recipes! Many thanks go to Rhonda Rose who was the Cookbook/Fundraiser Coordinator and put many hours into compiling and proofreading. The cookbooks are $10 each (or $80 if you order 10) and can be purchased from a UMW member or by emailing office@matthewsmemorialumc.org.